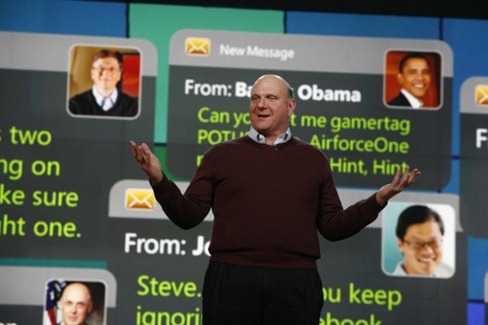 The International Consumer Electronics Show (CES 2010) kicks off tonight with keynotes by Steve Ballmer, CEO Microsoft and Robbie Bach, President of Entertainment & Devices Division. Their keynotes like always will be streamed LIVE all the way from Las Vegas on January 6th, 2010 at 18:30 PST (Pacific Standard Time). Click here to see what time is it in your region. Steve Ballmer is highly expected to announce a slate like tablet PC with HP, to take on the upcoming Apple iSlate/Tablet in what seems to be the year of Tablet Wars. The President of Entertainment & Devices Division Robbie Bach on the other hand will have interesting announcements surrounding Xbox (Project Natal maybe? ), Zune and hopefully something related to Windows Mobile 7 (or Windows Mobile 6.5.3). Those of you who couldn’t be there at Las Vegas this year can still enjoy all the action streamed LIVE from the comfort of your couch. Live Streaming links for the keynotes aren’t up yet, but they should be up soon here at Microsoft at 2010 CES website. We will post the links here as soon as they go Live! Stay tuned! You can follow me on twitter or join our facebook fanpage to keep yourself updated on all the latest from International Consumer Electronics Show in Las Vegas. They better announce some interesting facts in the Zune HD department. I better get my money's worth! Maybe they'll tell us about that facebook app that we were supposed to get last year, and give us some info about more apps/an app store/ releasing the SDK to the public.